I am not one to make resolutions but I did make one for 2019 – and that is to declutter my life. I know I am not alone in this new craze of tidying up – thanks to the new Netflix series, Tidying Up, by Japanese cleaning guru Marie Kondo. And thanks to everyone jumping on the bandwagon there is some pretty good advice out there on how to get started. My favorite article I found online is from the HuffPost and gives 10 tips and strategies compiled from organizing experts. 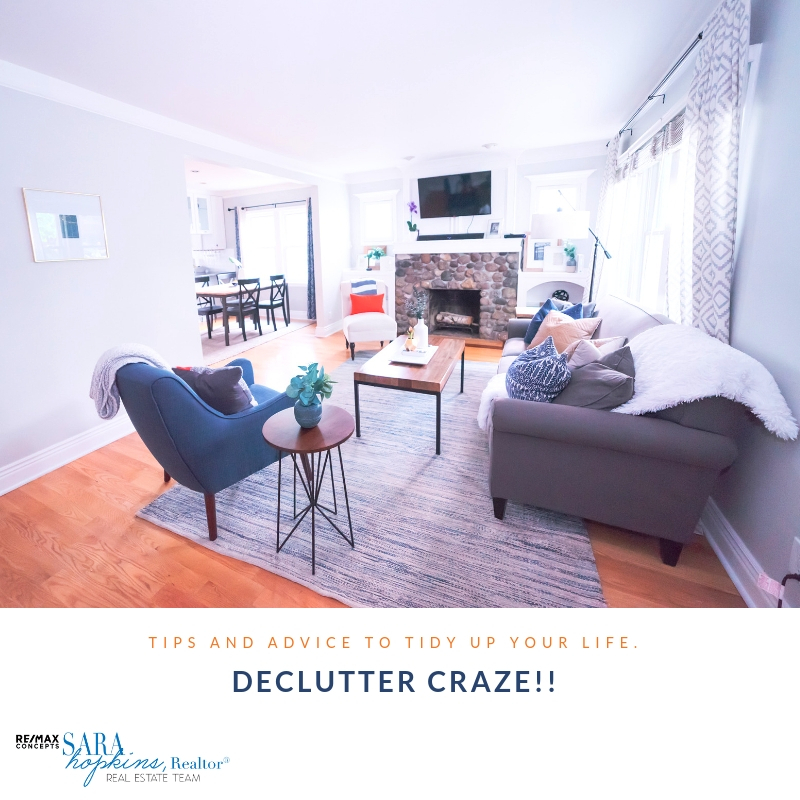 You can read the full article here…but below is a quick summary of how to make your way towards a clutter-free life. 1. Know Your Clutter Personality – People typically fall into one of three ‘clutter personalities’. And identifying which you are can help you succeed in becoming and staying organized. 2. Ask Yourself 3 Questions When You Go Through Your Belongings – 1. Do I truly need it? 2. Do I truly adore it? and, 3. Would I trade inner peace for this? 3. Do the 10-Minute Declutter Exercise – Once a week, one room at a time grab two trash bags and in one put trash and in the second bag, put stuff that is going to be donated to charity or a garage sale. 4. Manage Your Paper Trail – Have a container to put your mail, bills and other paper items in until you are able to go through and sort them. Make a point to go through them weekly. 5. Commit Fully to a Decluttering Routine – Make it a point to put those dishes away or fold your laundry. Don’t let things pile up. A: Anything not used in 12 months. 7. Part with Unnecessary Memory Clutter – Your home is not a museum. Rule of thumb: if it serves no purpose, let it go. 8. Purge Your Closet the Smart Way – You should seriously consider getting rid of anything you don’t wear regularly. 9. Try the One-Month Cardboard Box Test – For example, empty the contents of your kitchen utensils drawer into a cardboard box. For one month, put a utensil back into the drawer only if you take it out of the box to use it. If it’s still in the box after four weeks—you don’t need it. Pass it on to charity. 10. Remember This Final Thought– If an item occupies no specific location when not in use, it becomes clutter. Market updates, neighborhood guides, seasonal activities—directly to your inbox! © 2019 Sara Hopkins Realtor. All rights reserved.